A spicy, warm and sweet odor. Smells like the spice used in cooking– oriental and exotic. A comforting and soothing essential oil. Nutmeg is a tree in which its seeds are collected to extract the essential oil. This aromatic tree can grow to be 60-100 feet tall, with strongly scented leaves, and tiny yellow flowers buds. These trees are commonly found in Java, Sumatra, Indonesia, and the West Indies. In ancient cultures the whole part of a nutmeg was used. They use the spice for pain relief, the oil to scent their homes, and the seed as an aphrodisiac. Nutmeg was popular during the Elizabethan era where it was used to cure plagues. The seed of the nutmeg fruit produces nutmeg essential oil. When ripe and dried, the nutmeg fruit reveals a centrally situated oval kernel which is the seed and the nutmeg kernel which is the covering. The covering is a crimson-red in color while the seed is dark brown. Its botanical name is Myristica fragrans, and it belongs to the Myristicaceae family. Nutmeg can help the spirit soften fears and encourages self-esteem, it dissolves sadness and brings happier moods. 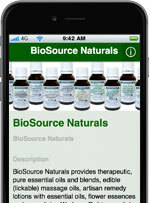 The mind and the oil are able to bring high levels of confidence, balance emotions, and promote a restful slumber. Nutmeg essential oil is aroma therapeutic. The inhalation of the oil is energizing, and it supports the endocrine systems. It is an effective sedative and anti-inflammatory. It may help reduce pain associated with menstruation and hormonal imbalance. * It has been considered a panacea for bad breath. 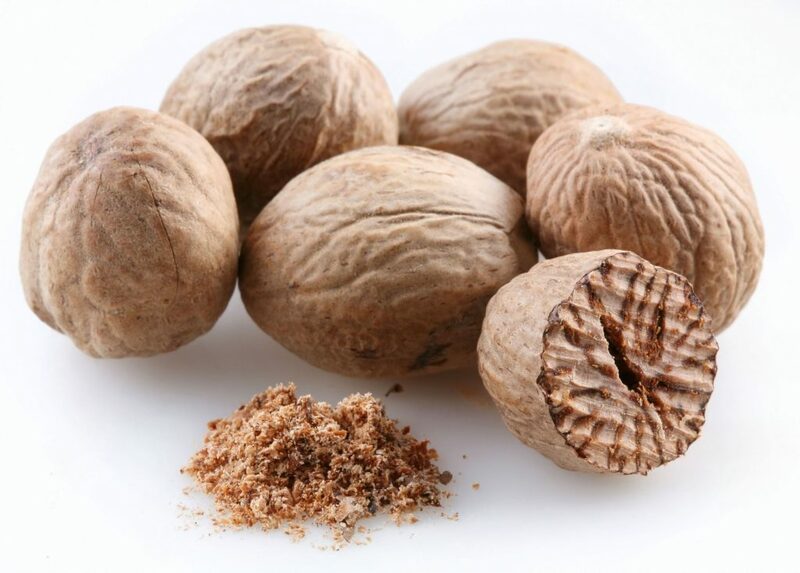 Nutmeg essential oil is an excellent addition to many aromatherapy blends and blends well with lavender, clary sage, geranium, rosemary, petitgrain, and orange oils. Try 1 drop with 20-40 drops of orange for a wonderful home blend. To bring about self-confidence, mix nutmeg with May Chang, and neroli then apply it to the skin in gentle strokes. To balance emotions, vaporize 2 drops of nutmeg, and 4 drops of grapefruit. To retrieve a restful sleep, blend nutmeg with lavender, and linaloe wood and softly massage the mixture into your shoulders and neck before sleep. To ease an upset stomach, blend 2 drops of nutmeg, 4 drops of coriander seed, and 4 drops of grapefruit with 4 tsp. carrier oil, and then rub it into your abdomen. When used to rinse the mouth daily, it helps clear bad breath. Nutmeg is used to relieve toothache when applied to the particular tooth with a germ free applicator. When making a soap or detergent, nutmeg improves the antiseptic quality. Nutmeg blends with tobacco to make the scent of tobacco light. Adding a few drops of nutmeg essential oil aids digestion. Should not be used at all during pregnancy or when nursing. Not recommended for skin care. In very high doses, may be psychotropic. It is not recommended to use this product on children under 2 years of age. Characteristics Colorless or pale yellow liquid with odor and taste of nutmeg. Solubility Soluble in 90% ethanol, insoluble in water.